website owners need to maintain a solid presence in a desktop market. Be sure to build your e-commerce website as a knowledge base for your customers who are interested in learning more about your business and your niche. To keep your company front and centre as shoppers search for your product or service, be sure to amplify your digital marketing strategy with well-targeted paid ads. 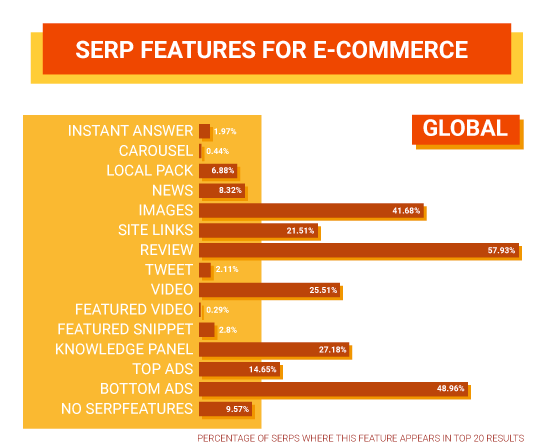 The data from the research will help you choose the right type of ads that will work for your e-commerce website. It turned out that online businesses tend to point out free delivery options in their ads. The most often used phrases among the e-commerce industries in the U.S. and the U.K. are “free shipping” and “free delivery,” respectively. The study also shows the most popular guarantee-related phrases that companies use in their ads since guarantee provided by online stores is one of the most valued benefits for shoppers. 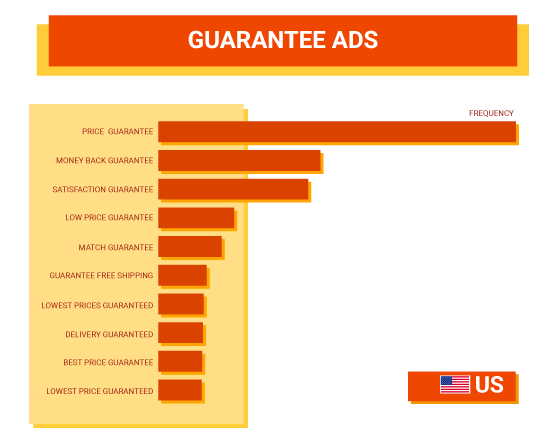 “Price guarantee” occupies the first place in both of these countries. People don’t like to pay for delivery. A free shipping option is one of the perks most valued by shoppers. If your business doesn’t offer free delivery, maybe it’s time to think about adding this option to your website. It can help online businesses boost their sales, as consumers spend 30 percent more per order when a company offers free delivery. Product reviews can be an extremely powerful tool for any e-commerce website. They provide social credibility, convincing people to buy from you. 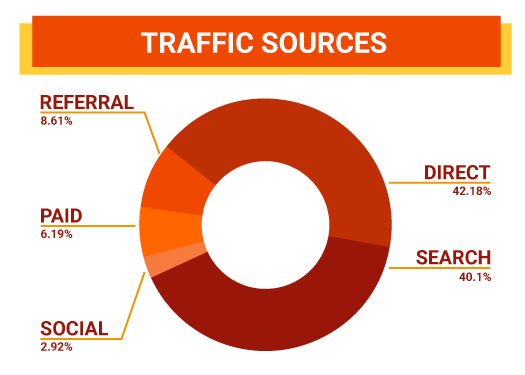 As the data illustrates, reviews are the most prominent of the 15 SERP features analyzed by SEMrush. The reviews feature is displayed in the top 20 results in 57.93 percent of the global SERPs and 62.03 percent of the U.S. SERPs. Earning relevant links for your e-commerce website can give your product pages a huge boost in Google’s search results, increasing the visibility of your online store. In recent years, link building has transformed into relationship building. Think of ways to connect with some influential members of your industry. For example, what works well for electronics might not work the same way for jewellery.